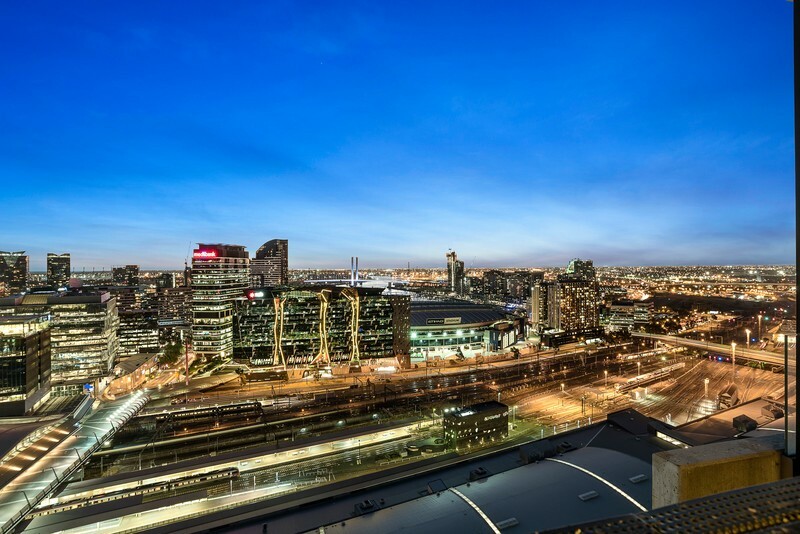 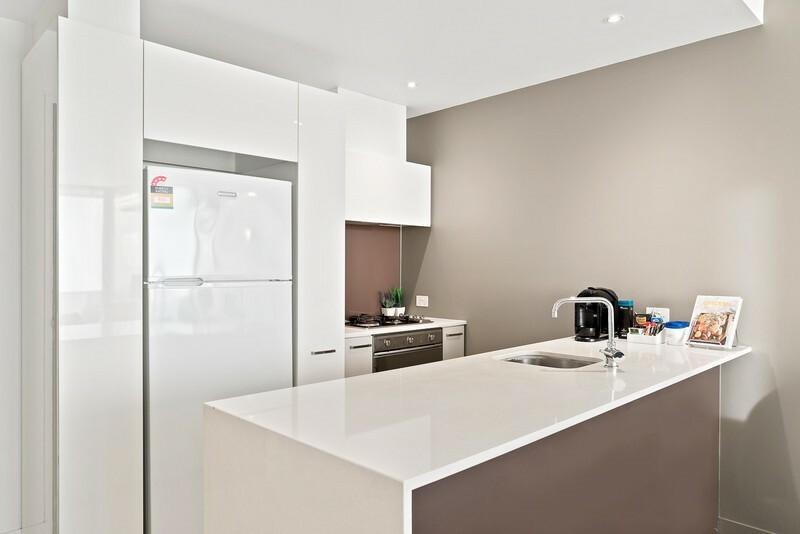 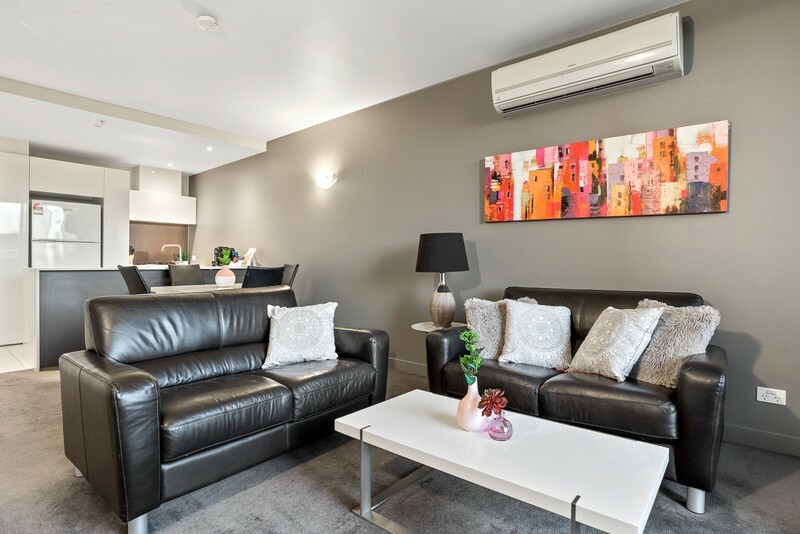 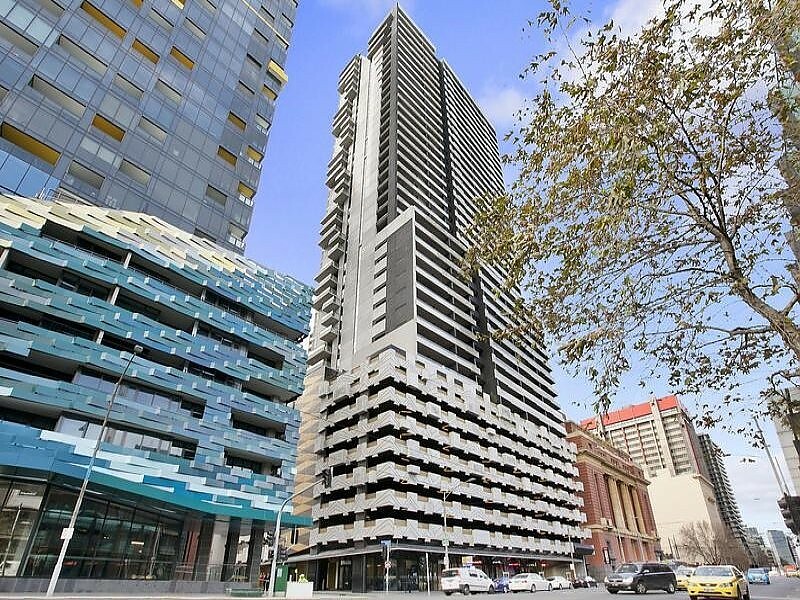 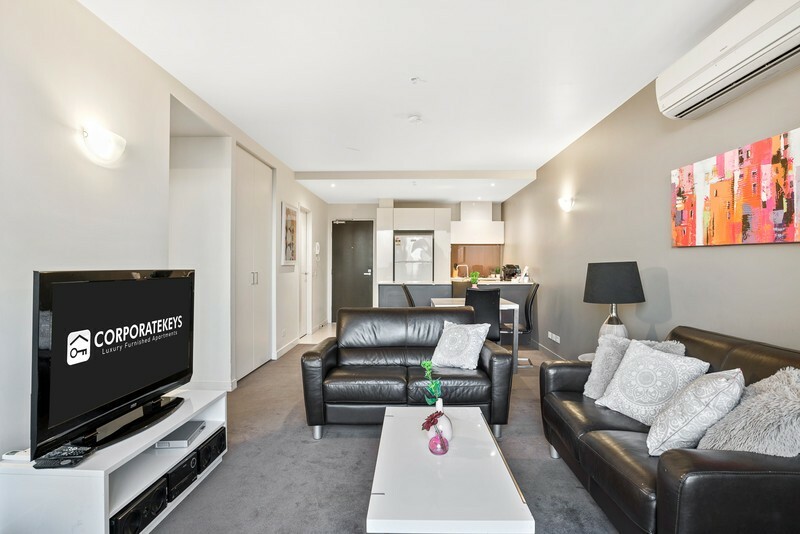 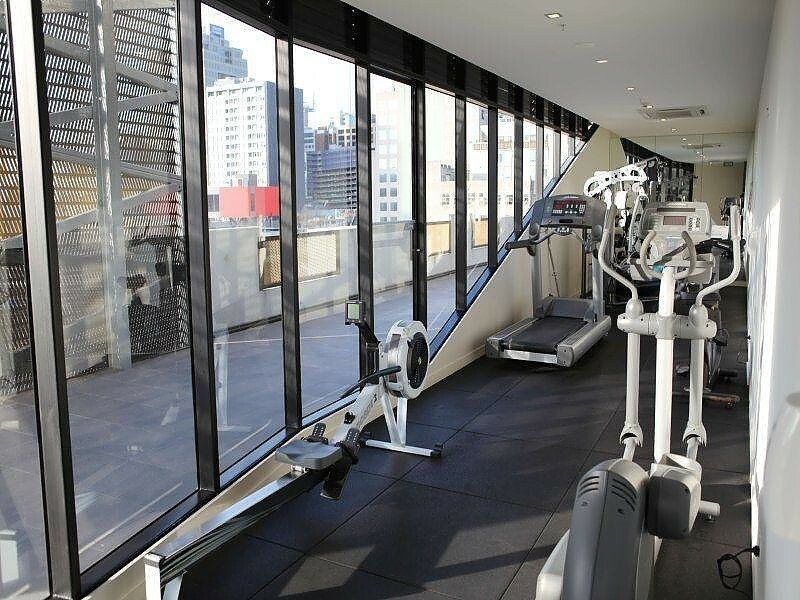 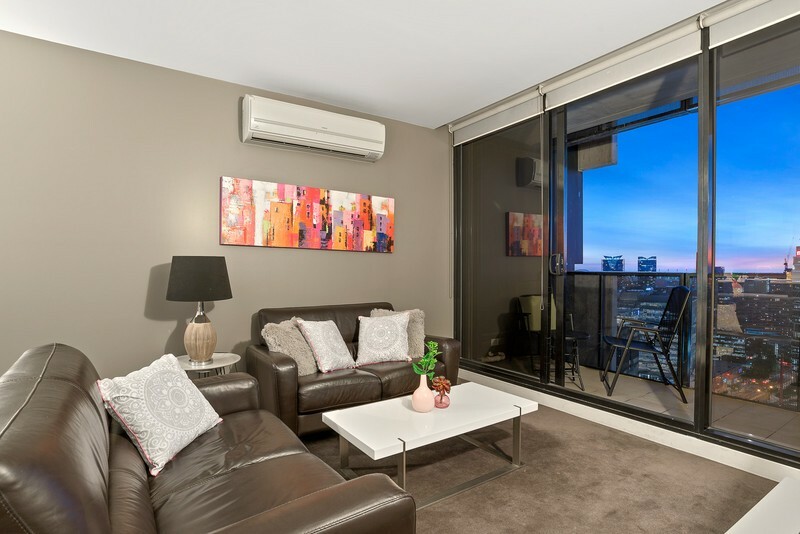 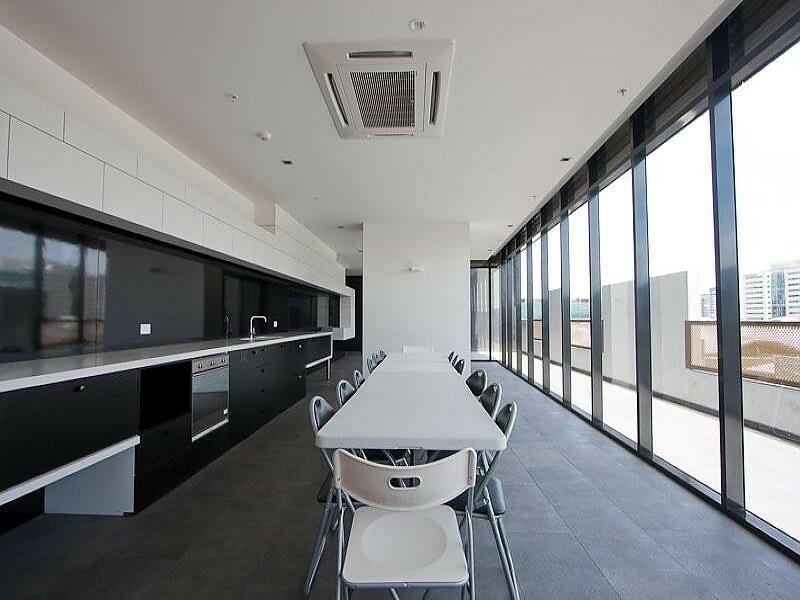 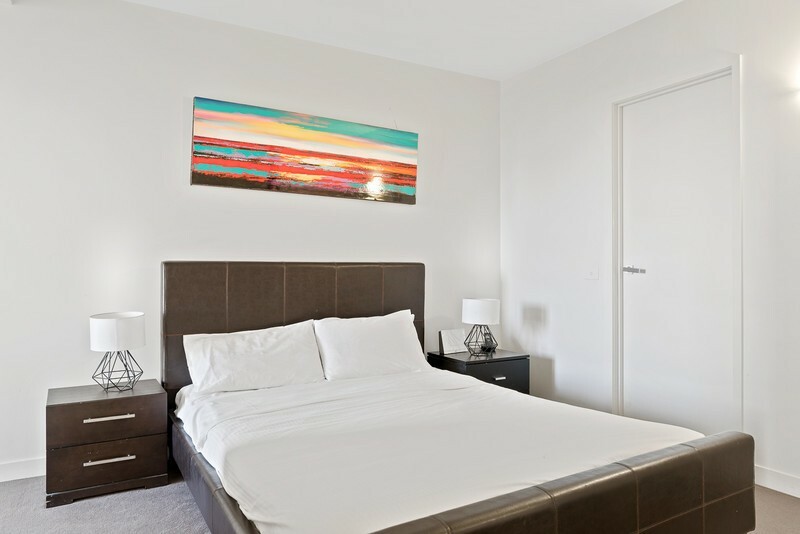 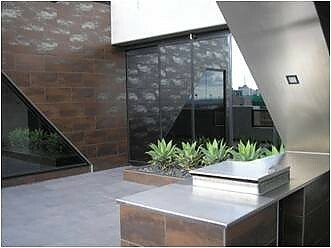 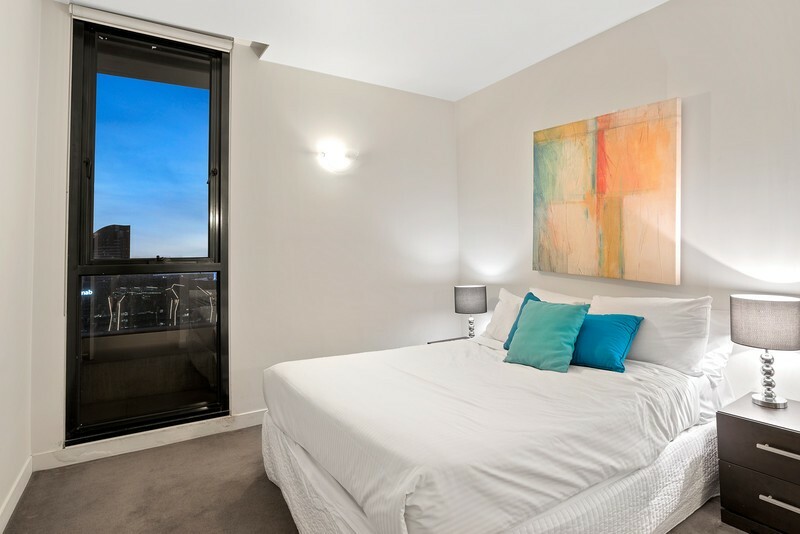 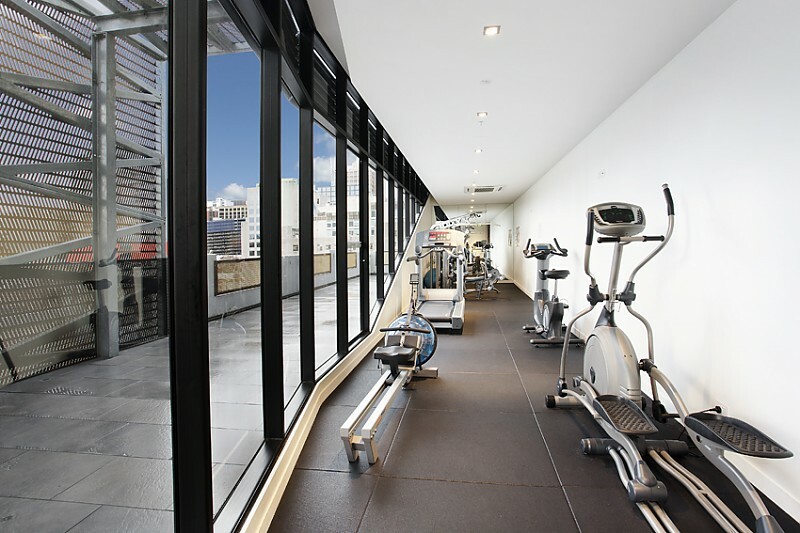 There’s plenty of room to move in this generous two-bedroom security apartment, set on the 28th floor of an award-winning complex ideally located steps to the CBD and within easy reach of Docklands, Southbank and Queen Victoria Markets. 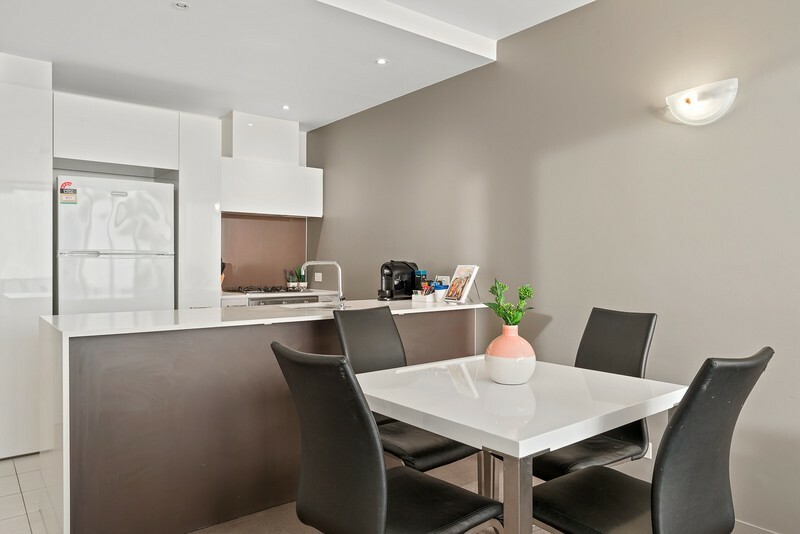 The carpeted living/dining room with split-system air conditioning opens to a city-view balcony, and the adjoining full-sized kitchen offers all the conveniences of home with gas cooking, stainless steel appliances, dishwasher, microwave and stone-top breakfast bar with waterfall edge. 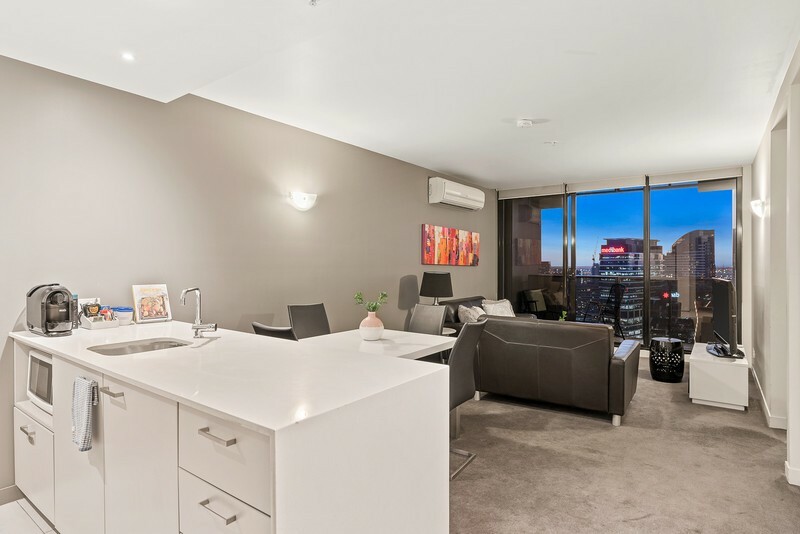 The master bedroom with mirrored built-in robe and ensuite also features a study nook that opens onto a second balcony with bright city views. 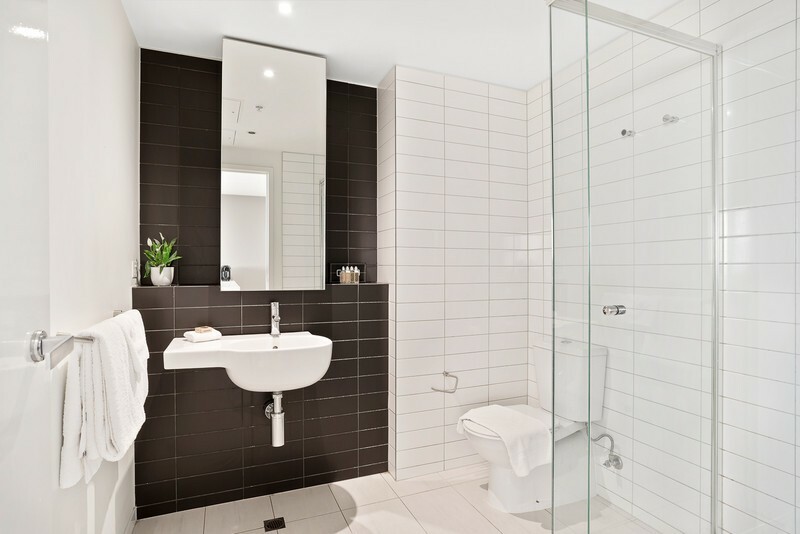 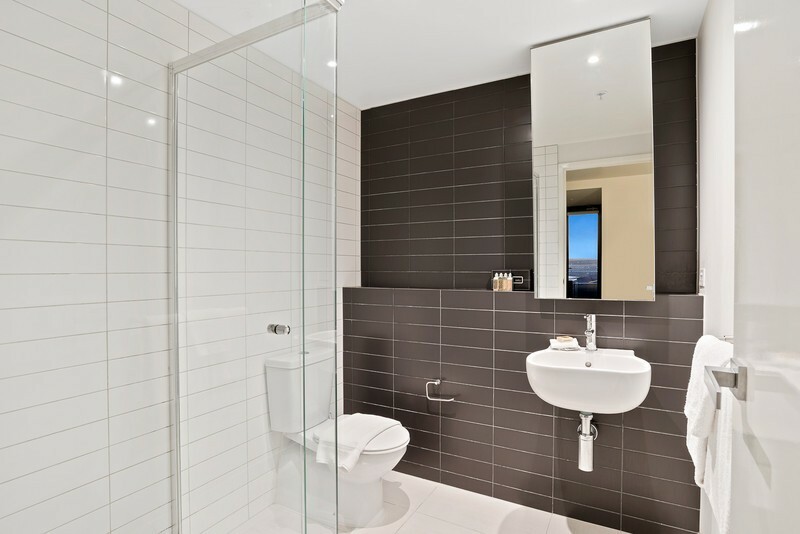 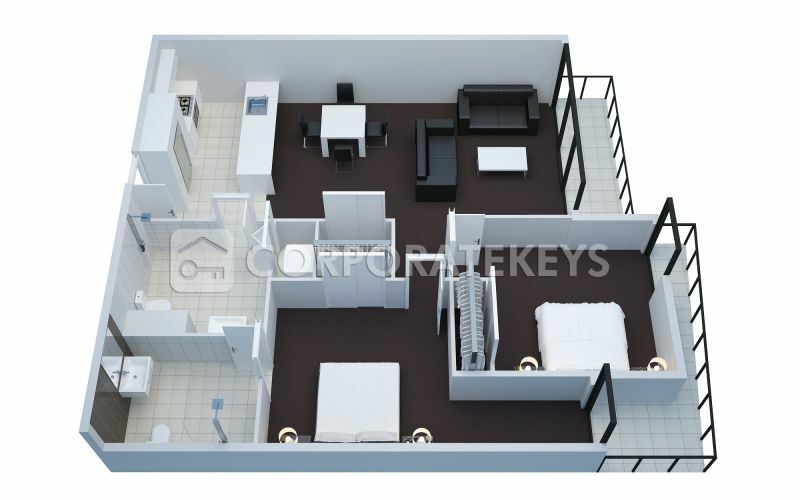 The second bedroom – also with built-in robe and city outlook – joins the stylish black-and-white main bathroom that features floor-to-ceiling tiles, frameless glass shower, and laundry with washer and dryer. 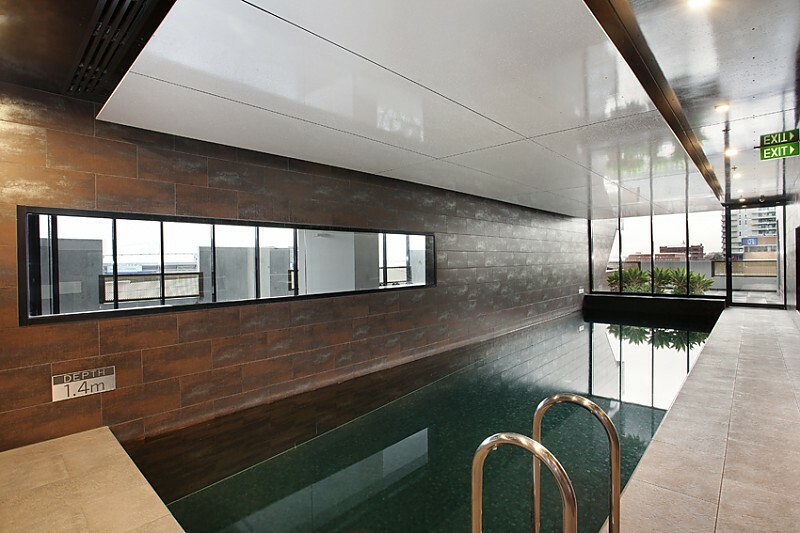 Entertain visiting friends and family in the common barbeque area with indoor pool, and stay active in the air-conditioned gym with sauna that put this designer five-star complex ahead of the competition.